Well it's been a really cold BUT creative weekend. 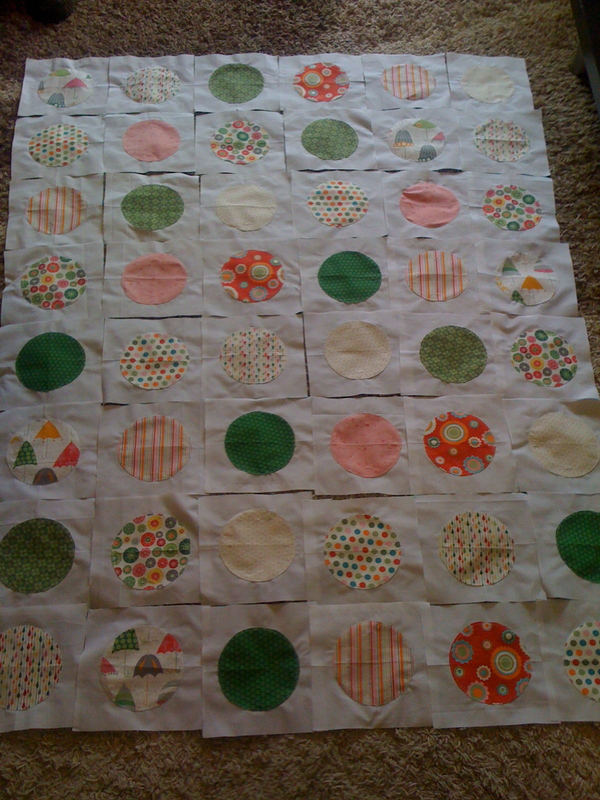 I have made quite a progress with my weekly challenge (the circle quilt). 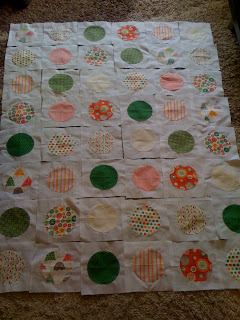 I have sewn all circles on all squares, and have already arranged them. Next step!!! assembling the squares. I'm terrified of this step to tell you the truth!! I'd really love to read your comments. Hi there I love this quilt! The fabric is to die for! Plus super creative blocks! 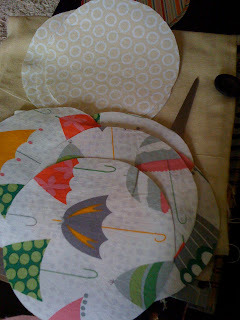 The circles are darling! Thanks for sharing! Sewing the rows together is nothing compared to sewing all the circles! You'll be fine :) It looks great so far! thank you so much for your lovely comments! !